"ZWE" redirects here. For other uses, see ZWE (disambiguation). "Blessed be the land of Zimbabwe"
United States dollar (official for government), South African rand, and many other currenciesa, e.g. Botswana pula (P), euro (€), Chinese renminbi (¥), Indian rupees (₹), pound sterling (£), Australian dollars (A$). Zimbabwean bond coins are used as a proxy for US dollar and cent coins. Zimbabwean bond notes for 2 and 5 dollars were introduced in 2016 at par value of the US dollar. The Zimbabwean dollar is no longer in active use after it was officially suspended by the government due to hyperinflation. The United States dollar (US$), Euro (€), South African rand (R), Botswana pula (P), Pound sterling (£), Indian rupees (₹), Australian dollars (A$), Chinese Renminbi (元/¥), and Japanese yen (¥) are legal tender. The United States dollar has been adopted as the official currency for all government transactions. Zimbabwe (/zɪmˈbɑːbweɪ, -wi/), officially the Republic of Zimbabwe, is a landlocked country located in southern Africa, between the Zambezi and Limpopo Rivers, bordered by South Africa, Botswana, Zambia and Mozambique. The capital and largest city is Harare. A country of roughly 16 million people, Zimbabwe has 16 official languages, with English, Shona, and Ndebele the most commonly used. Since the 11th century, present-day Zimbabwe has been the site of several organised states and kingdoms as well as a major route for migration and trade. The British South Africa Company of Cecil Rhodes first demarcated the present territory during the 1890s; it became the self-governing British colony of Southern Rhodesia in 1923. In 1965, the conservative white minority government unilaterally declared independence as Rhodesia. The state endured international isolation and a 15-year guerrilla war with black nationalist forces; this culminated in a peace agreement that established universal enfranchisement and de jure sovereignty as Zimbabwe in April 1980. Zimbabwe then joined the Commonwealth of Nations, from which it was suspended in 2002 for breaches of international law by its then-government, and from which it withdrew in December 2003. The sovereign state is a member of the United Nations, the Southern African Development Community (SADC), the African Union (AU), and the Common Market for Eastern and Southern Africa (COMESA). It was once known as the "Jewel of Africa" for its prosperity under the former Rhodesian administration. Robert Mugabe became Prime Minister of Zimbabwe in 1980, when his ZANU-PF party won the elections following the end of white minority rule; he was the President of Zimbabwe from 1987 until his resignation in 2017. Under Mugabe's authoritarian regime, the state security apparatus dominated the country and was responsible for widespread human rights violations. Mugabe maintained the revolutionary socialist rhetoric of the Cold War era, blaming Zimbabwe's economic woes on conspiring Western capitalist countries. Contemporary African political leaders were reluctant to criticise Mugabe, who was burnished by his anti-imperialist credentials, though Archbishop Desmond Tutu called him "a cartoon figure of an archetypal African dictator". The country has been in economic decline since the 1990s, experiencing several crashes and hyperinflation along the way. On 15 November 2017, in the wake of over a year of protests against his government as well as Zimbabwe's rapidly declining economy, Mugabe was placed under house arrest by the country's national army in a coup d'état. On 19 November 2017, ZANU-PF sacked Robert Mugabe as party leader and appointed former Vice President Emmerson Mnangagwa in his place. On 21 November 2017, Mugabe tendered his resignation prior to impeachment proceedings being completed. On 30 July 2018 Zimbabwe held its general elections, which was won by the ZANU-PF party led by Emmerson Mnangagwa. Nelson Chamisa who was leading the main opposition party MDC Alliance contested the election results and filed a petition to the Constitution Court of Zimbabwe. The court confirmed Mnangagwa's victory, making him the newly elected president after Mugabe. The name "Zimbabwe" stems from a Shona term for Great Zimbabwe, an ancient ruined city in the country's south-east whose remains are now a protected site. Two different theories address the origin of the word. Many sources hold that "Zimbabwe" derives from dzimba-dza-mabwe, translated from the Karanga dialect of Shona as "houses of stones" (dzimba = plural of imba, "house"; mabwe = plural of bwe, "stone"). The Karanga-speaking Shona people live around Great Zimbabwe in the modern-day province of Masvingo. Archaeologist Peter Garlake claims that "Zimbabwe" represents a contracted form of dzimba-hwe, which means "venerated houses" in the Zezuru dialect of Shona and usually references chiefs' houses or graves. Zimbabwe was formerly known as Southern Rhodesia (1898), Rhodesia (1965), and Zimbabwe Rhodesia (1979). The first recorded use of "Zimbabwe" as a term of national reference dates from 1960 as a coinage by the black nationalist Michael Mawema, whose Zimbabwe National Party became the first to officially use the name in 1961. The term "Rhodesia"—derived from the surname of Cecil Rhodes, the primary instigator of British colonisation of the territory during the late 19th century—was perceived by African nationalists as inappropriate because of its colonial origin and connotations. According to Mawema, black nationalists held a meeting in 1960 to choose an alternative name for the country, proposing names such as "Matshobana" and "Monomotapa" before his suggestion, "Zimbabwe", prevailed. A further alternative, put forward by nationalists in Matabeleland, had been "Matopos", referring to the Matopos Hills to the south of Bulawayo. Archaeological records date human settlement of present-day Zimbabwe to at least 100,000 years ago. The earliest known inhabitants were probably San people, who left behind arrowheads and cave paintings. The first Bantu-speaking farmers arrived during the Bantu expansion around 2000 years ago. Societies speaking proto-Shona languages first emerged in the middle Limpopo valley in the 9th century before moving on to the Zimbabwean highlands. The Zimbabwean plateau eventually became the centre of subsequent Shona states, beginning around the 10th century. Around the early 10th century, trade developed with Arab merchants on the Indian Ocean coast, helping to develop the Kingdom of Mapungubwe in the 11th century. This was the precursor to the more impressive Shona civilisations that would dominate the region during the 13th to 15th centuries, evidenced by ruins at Great Zimbabwe, near Masvingo, and by other smaller sites. The main archaeological site uses a unique dry stone architecture. From about 1300 until 1600 the Kingdom of Zimbabwe eclipsed Mapungubwe. This Shona state further refined and expanded upon Mapungubwe's stone architecture, which survives to this day at the ruins of the kingdom's capital of Great Zimbabwe. From c. 1450 to 1760 Zimbabwe gave way to the Kingdom of Mutapa. This Shona state ruled much of the area of present-day Zimbabwe, plus parts of central Mozambique. It is known by many names including the Mutapa Empire, also known as Mwene Mutapa or Monomotapa as well as "Munhumutapa", and was renowned for its strategic trade routes with the Arabs and Portugal. The Portuguese sought to monopolise this influence and began a series of wars which left the empire in near collapse in the early 17th century. Around 1821 the Zulu general Mzilikazi of the Khumalo clan successfully rebelled against King Shaka and established his own clan, the Ndebele. The Ndebele fought their way northwards into the Transvaal, leaving a trail of destruction in their wake and beginning an era of widespread devastation known as the Mfecane. When Dutch trekboers converged on the Transvaal in 1836, they drove the tribe even further northward, with the assistance of Tswana Barolong warriors and Griqua commandos. By 1838 the Ndebele had conquered the Rozwi Empire, along with the other smaller Shona states, and reduced them to vassaldom. In the 1880s, European colonists arrived with Cecil Rhodes's British South Africa Company (BSAC). In 1888, Rhodes obtained a concession for mining rights from King Lobengula of the Ndebele peoples. He presented this concession to persuade the government of the United Kingdom to grant a royal charter to the company over Matabeleland, and its subject states such as Mashonaland as well. Rhodes used this document in 1890 to justify sending the Pioneer Column, a group of Europeans protected by well-armed British South Africa Police (BSAP) through Matabeleland and into Shona territory to establish Fort Salisbury (now Harare), and thereby establish company rule over the area. In 1893 and 1894, with the help of their new Maxim guns, the BSAP would go on to defeat the Ndebele in the First Matabele War. Rhodes additionally sought permission to negotiate similar concessions covering all territory between the Limpopo River and Lake Tanganyika, then known as "Zambesia". Southern Rhodesia was annexed by the United Kingdom on 12 September 1923. Shortly after annexation, on 1 October 1923, the first constitution for the new Colony of Southern Rhodesia came into force. Under the new constitution, Southern Rhodesia became a self-governing British colony, subsequent to a 1922 referendum. Rhodesians of all races served on behalf of the United Kingdom during the two World Wars. Proportional to the white population, Southern Rhodesia contributed more per capita to both the First and Second World Wars than any other part of the Empire, including Britain itself. With Zambian independence, Ian Smith's Rhodesian Front (RF) dropped the designation "Southern" in 1964 and issued a Unilateral Declaration of Independence (commonly abbreviated to "UDI") from the United Kingdom on 11 November 1965, intent on effectively repudiating the recently adopted British policy of "no independence before majority rule". It was the first such course taken by a British colony since the American declaration of 1776, which Smith and others indeed claimed provided a suitable precedent to their own actions. Ian Smith signing the Unilateral Declaration of Independence on 11 November 1965 with his cabinet in audience. After the Unilateral Declaration of Independence (UDI), the British government petitioned the United Nations for sanctions against Rhodesia pending unsuccessful talks with Smith's administration in 1966 and 1968. In December 1966, the organisation complied, imposing the first mandatory trade embargo on an autonomous state. These sanctions were expanded again in 1968. The United Kingdom deemed the Rhodesian declaration an act of rebellion, but did not re-establish control by force. A guerrilla war subsequently ensued when Joshua Nkomo's Zimbabwe African People's Union (ZAPU) and Robert Mugabe's Zimbabwe African National Union (ZANU), supported actively by communist powers and neighbouring African nations, initiated guerilla operations against Rhodesia's predominantly white government. ZAPU was supported by the Soviet Union, the Warsaw Pact and associated nations such as Cuba, and adopted a Marxist–Leninist ideology; ZANU meanwhile aligned itself with Maoism and the bloc headed by the People's Republic of China. Smith declared Rhodesia a republic in 1970, following the results of a referendum the previous year, but this went unrecognised internationally. Meanwhile, Rhodesia's internal conflict intensified, eventually forcing him to open negotiations with the militant communists. Bishop Abel Muzorewa signs the Lancaster House Agreement seated next to British Foreign Secretary Lord Carrington. In March 1978, Smith reached an accord with three African leaders, led by Bishop Abel Muzorewa, who offered to leave the white population comfortably entrenched in exchange for the establishment of a biracial democracy. As a result of the Internal Settlement, elections were held in April 1979, concluding with the United African National Council (UANC) carrying a majority of parliamentary seats. On 1 June 1979, Muzorewa, the UANC head, became prime minister and the country's name was changed to Zimbabwe Rhodesia. The Internal Settlement left control of the Rhodesian Security Forces, civil service, judiciary, and a third of parliament seats to whites. On 12 June, the United States Senate voted to lift economic pressure on the former Rhodesia. Following the fifth Commonwealth Heads of Government Meeting (CHOGM), held in Lusaka, Zambia from 1 to 7 August in 1979, the British government invited Muzorewa, Mugabe, and Nkomo to participate in a constitutional conference at Lancaster House. The purpose of the conference was to discuss and reach an agreement on the terms of an independence constitution, and provide for elections supervised under British authority allowing Zimbabwe Rhodesia to proceed to legal independence. With Lord Carrington, Secretary of State for Foreign and Commonwealth Affairs of the United Kingdom, in the chair, these discussions were mounted from 10 September to 15 December in 1979, producing a total of 47 plenary sessions. On 21 December 1979, delegations from every major interest represented reached the Lancaster House Agreement, effectively ending the guerrilla war. On 11 December 1979, the Rhodesian House of Assembly voted 90 to nil to revert to British colonial status (the 'aye' votes included Ian Smith himself). The bill then passed the Senate and was assented to by the President. With the arrival of Lord Soames, the new Governor, just after 2 p.m. on 12 December 1979, Britain formally took control of Zimbabwe Rhodesia as the Colony of Southern Rhodesia, although on 13 December Soames declared that during his mandate the name Rhodesia and Zimbabwe Rhodesia would continue to be used. Britain lifted sanctions on 12 December, and the United Nations on 16 December, before calling on its member states to do likewise on 21 December. Thus Zambia, Mozambique, Tanzania, Angola and Botswana lifted sanctions on 22–23 December; Australia partly pre-empted this, lifting all but trade sanctions on 18 December, and trade sanctions on 21 December. During the elections of February 1980, Robert Mugabe and the ZANU party secured a landslide victory. Prince Charles, as the representative of Britain, formally granted independence to the new nation of Zimbabwe at a ceremony in Harare in April 1980. Trends in Zimbabwe's Multidimensional Poverty Index, 1970–2010. Zimbabwe's first president after its independence was Canaan Banana in what was originally a mainly ceremonial role as Head of State. Robert Mugabe, leader of the ZANU party, was the country's first Prime Minister and Head of Government. Opposition to what was perceived as a Shona takeover immediately erupted around Matabeleland. The Matabele unrest led to what has become known as Gukurahundi (Shona: "the early rain which washes away the chaff before the spring rains"). The Fifth Brigade, a North Korean-trained elite unit that reported directly to the Zimbabwean Prime Minister, entered Matabeleland and massacred thousands of civilians accused of supporting "dissidents". Estimates for the number of deaths during the five-year Gukurahundi campaign ranged from 3,750 to 80,000. Thousands of others were tortured in military internment camps. The campaign officially ended in 1987 after Nkomo and Mugabe reached a unity agreement that merged their respective parties, creating the Zimbabwe African National Union – Patriotic Front (ZANU–PF). Elections in March 1990 resulted in another victory for Mugabe and the ZANU-PF party, which claimed 117 of the 120 contested seats. During the 1990s, students, trade unionists, and other workers often demonstrated to express their growing discontent with Mugabe and ZANU-PF party policies. In 1996, civil servants, nurses, and junior doctors went on strike over salary issues. The general health of the population also began to significantly decline; by 1997 an estimated 25% of the population had been infected by HIV in a pandemic that was affecting most of southern Africa. In 2000, the government pressed ahead with its Fast Track Land Reform programme, a policy involving compulsory land acquisition aimed at redistributing land from the minority white population to the majority black population. Confiscations of white farmland, continuous droughts, and a serious drop in external finance and other supports led to a sharp decline in agricultural exports, which were traditionally the country's leading export-producing sector. Some 58,000 independent black farmers have since experienced limited success in reviving the gutted cash crop sectors through efforts on a smaller scale. President Mugabe and the ZANU-PF party leadership found themselves beset by a wide range of international sanctions. In 2002, the nation was suspended from the Commonwealth of Nations due to the reckless farm seizures and blatant election tampering. The following year, Zimbabwean officials voluntarily terminated its Commonwealth membership. The Zimbabwe Democracy and Economic Recovery Act of 2001 (ZDERA) went into effect in 2002, creating a credit freeze of the Zimbabwean government through Section 4 C, Multilateral Financing Restriction. The bill was sponsored by Bill Frist, and co-sponsored by US senators Hillary Clinton, Joe Biden, Russ Feingold and Jesse Helms. Through ZDERA Section 4C, the Secretary of the Treasury is ordered to direct US Directors at the International Financial Institutions listed in Section 3, "to oppose and vote against-- (1) any extension by the respective institution of any loan, credit, or guarantee to the Government of Zimbabwe; or (2) any cancellation or reduction of indebtedness owed by the Government of Zimbabwe to the United States or any international financial institution." Following elections in 2005, the government initiated "Operation Murambatsvina", an effort to crack down on illegal markets and slums emerging in towns and cities, leaving a substantial section of urban poor homeless. The Zimbabwean government has described the operation as an attempt to provide decent housing to the population, although according to critics such as Amnesty International, authorities have yet to properly substantiate their claims. In late 2008, problems in Zimbabwe reached crisis proportions in the areas of living standards, public health (with a major cholera outbreak in December) and various basic affairs. During this period NGOs took over from government as a primary provider of food during this period of food insecurity in Zimbabwe. In September 2008, a power-sharing agreement was reached between Tsvangirai and President Mugabe, permitting the former to hold the office of prime minister. Due to ministerial differences between their respective political parties, the agreement was not fully implemented until 13 February 2009. By December 2010, Mugabe was threatening to completely expropriate remaining privately owned companies in Zimbabwe unless "western sanctions" were lifted. A 2011 survey by Freedom House suggested that living conditions had improved since the power-sharing agreement. The United Nations Office for the Coordination of Humanitarian Affairs stated in its 2012–2013 planning document that the "humanitarian situation has improved in Zimbabwe since 2009, but conditions remain precarious for many people". On 17 January 2013, Vice President John Nkomo died of cancer at St Anne's Hospital, Harare at the age of 78. A new constitution approved in the Zimbabwean constitutional referendum, 2013 curtails presidential powers. Mugabe was re-elected president in the July 2013 Zimbabwean general election which The Economist described as "rigged." and the Daily Telegraph as "stolen". The Movement for Democratic Change alleged massive fraud and tried to seek relief through the courts. In a surprising moment of candour at the ZANU-PF congress in December 2014, President Robert Mugabe accidentally let slip that the opposition had in fact won the contentious 2008 polls by an astounding 73%. After winning the election, the Mugabe ZANU-PF government re-instituted one party rule, doubled the civil service and, according to The Economist, embarked on "misrule and dazzling corruption". A 2017 study conducted by the Institute for Security Studies (ISS) concluded that due to the deterioration of government and the economy "the government encourages corruption to make up for its inability to fund its own institutions" with widespread and informal police roadblocks to issue fines to travellers being one manifestation of this. In July 2016 nationwide protests took place regarding the economic collapse in the country, and the finance minister admitted "Right now we literally have nothing." In November 2017, the army led a coup d'état following the dismissal of Vice President Emmerson Mnangagwa, placing Mugabe under house arrest. The army denied that their actions constituted a coup. Mugabe resigned on 21 November 2017, after leading the country for 37 years. Although under the Constitution of Zimbabwe Mugabe should be succeeded by Vice President Phelekezela Mphoko, a supporter of Grace Mugabe, ZANU-PF chief whip Lovemore Matuke stated to the Reuters news agency that Mnangagwa would be appointed as president. The Zambezi River in the Mana Pools National Park. An elephant at a water hole in Hwange National Park. Large parts of Zimbabwe were once covered by forests with abundant wildlife. Deforestation and poaching has reduced the amount of wildlife. Woodland degradation and deforestation, due to population growth, urban expansion and lack of fuel, are major concerns and have led to erosion and land degradation which diminish the amount of fertile soil. Local farmers have also been criticised by environmentalists for burning off vegetation to heat their tobacco barns. Zimbabwe is a republic with a presidential system of government. The semi-presidential system was abolished with the adoption of a new constitution after a referendum in March 2013. Under the constitutional changes in 2005, an upper chamber, the Senate, was reinstated. The House of Assembly is the lower chamber of Parliament. Former President Robert Mugabe's Zimbabwe African National Union – Patriotic Front (commonly abbreviated ZANU-PF) has been the dominant political party in Zimbabwe since independence. In 1987 then-prime minister Mugabe revised the constitution, abolishing the ceremonial presidency and the prime ministerial posts to form an executive president, a Presidential system. His ZANU party has won every election since independence, in the 1990 election the second-placed party, Edgar Tekere's Zimbabwe Unity Movement, won only 20% of the vote. General elections were again held in Zimbabwe on 30 March 2008. The official results required a runoff between Mugabe and Morgan Tsvangirai, the opposition leader; the MDC challenged these results, claiming widespread election fraud by the Mugabe government. Supporters of the Movement for Democratic Change in 2005. The MDC-T led by Morgan Tsvangirai is now the majority in the Lower chamber of Parliament. The MDC split into two factions. One faction (MDC-M), now led by Arthur Mutambara contested the elections to the Senate, while the other, led by Tsvangirai, opposed to contesting the elections, stating that participation in a rigged election is tantamount to endorsing Mugabe's claim that past elections were free and fair. The opposition parties have resumed participation in national and local elections as recently as 2006. The two MDC camps had their congresses in 2006 with Tsvangirai being elected to lead MDC-T, which has become more popular than the other group. Mutambara, a robotics professor and former NASA robotics specialist has replaced Welshman Ncube who was the interim leader of MDC-M after the split. Morgan Tsvangirai did not participate in the Senate elections, while the Mutambara faction participated and won five seats in the Senate. The Mutambara formation has been weakened by defections from MPs and individuals who are disillusioned by their manifesto. As of 2008[update], the Movement for Democratic Change has become the most popular, with crowds as large as 20,000 attending their rallies as compared to between 500–5,000 for the other formation. In November 2008, the government of Zimbabwe spent US$7.3 million donated by the Global Fund to Fight AIDS, Tuberculosis and Malaria. A representative of the organisation declined to speculate on how the money was spent, except that it was not for the intended purpose, and the government has failed to honour requests to return the money. In February 2013, Zimbabwe's election chief, Simpson Mtambanengwe, resigned due to ill health. His resignation came months before the country's constitutional referendum and elections. The Status of Zimbabwe politics has been thrown into question by a coup taking place in November 2017, ending Mugabe's 30 year presidential incumbency. Emmerson Mnangagwa was appointed president following this coup, and officially elected with 50.8% of the vote in the 2018 Zimbabwean general election, avoiding a run-off and making him the 3rd President of Zimbabwe. A demonstration in London against Robert Mugabe. Protests are discouraged by Zimbabwean police in Zimbabwe. There are widespread reports of systematic and escalating violations of human rights in Zimbabwe under the Mugabe administration and the dominant party, the ZANU-PF. In 2011, there were reports of 640 corpses having been recovered from the Monkey William Mine in Chibondo. They were allegedly authenticated by the Fallen Heroes Trust of Zimbabwe and the Department of National Museums and Monuments who are leading the exhumation process as victims of the Ian Smith regime during the Rhodesian Bush War. One body was identified as a ZANLA cadre, Cde Rauya, by the Fallen Heroes Trust Chief exhumer. According to human rights organisations such as Amnesty International and Human Rights Watch the government of Zimbabwe violates the rights to shelter, food, freedom of movement and residence, freedom of assembly and the protection of the law. In 2009, Gregory Stanton, then President of the International Association of Genocide Scholars, stated there was "clear evidence that Mugabe government was guilty of crimes against humanity and that there was sufficient evidence of crimes against humanity to bring Mugabe to trial in front of the International Criminal Court. Male homosexuality is illegal in Zimbabwe. Since 1995, the government has carried out campaigns against both homosexual men and women. President Mugabe has blamed gays for many of Zimbabwe's problems and viewed homosexuality as an "un-African" and immoral culture brought by European colonists and practiced by only "a few whites" in his country. Opposition gatherings are frequently the subject of brutal attacks by the police force, such as the crackdown on an 11 March 2007 Movement for Democratic Change (MDC) rally and several others during the 2008 election campaign. In the attacks of 2007, party leader Morgan Tsvangirai and 49 other opposition activists were arrested and severely beaten by the police. After his release, Morgan Tsvangirai told the BBC that he suffered head injuries and blows to the arms, knees and back, and that he lost a significant amount of blood and hundreds were killed. Police action was strongly condemned by the UN Secretary-General, Ban Ki-moon, the European Union and the United States. While noting that the activists had suffered injuries, but not mentioning the cause of them, the Zimbabwean state-owned daily newspaper The Herald claimed the police had intervened after demonstrators "ran amok looting shops, destroying property, mugging civilians, and assaulting police officers and innocent members of the public". The newspaper argued that the opposition had been "willfully violating the ban on political rallies". There are also abuses of media rights and access. The Zimbabwean government is accused of suppressing freedom of the press and freedom of speech. It has been repeatedly accused of using the public broadcaster, the Zimbabwe Broadcasting Corporation, as a propaganda tool. Newspapers critical of the government, such as the Daily News, closed after bombs exploded at their offices and the government refused to renew their license. BBC News, Sky News, and CNN were banned from filming or reporting from Zimbabwe. In 2009 reporting restrictions on the BBC and CNN were lifted. Sky News continue to report on happenings within Zimbabwe from neighbouring countries like South Africa. The flag of the Zimbabwe Defence Forces. The Zimbabwe Defence Forces were set up by unifying three insurrectionist forces – the Zimbabwe African National Liberation Army (ZANLA), the Zimbabwe People's Revolutionary Army (ZIPRA), and the Rhodesian Security Forces (RSF) – after the Second Chimurenga and Zimbabwean independence in 1980. The integration period saw the formation of the Zimbabwe National Army (ZNA) and Air Force of Zimbabwe (AFZ) as separate entities under the command of Rtd General Solomon Mujuru and Air Marshal Norman Walsh who retired in 1982, and was replaced by Air Marshal Azim Daudpota who handed over command to Rtd Air Chief Marshal Josiah Tungamirai in 1985. The ZNA has an active duty strength of 30,000. The Air Force has about 5,139 standing personnel. The Zimbabwe Republic Police (includes Police Support Unit, Paramilitary Police) is part of the Zimbabwe Defence Forces and numbers 25,000. The ZNA was originally formed into four brigades, composed of a total of 28 battalions. The brigade support units were composed almost entirely of specialists of the former Rhodesian Army, while unintegrated battalions of the Rhodesian African Rifles were assigned to the 1st, 3rd and 4th Brigades. The Fifth Brigade was formed in 1981 and disbanded in 1988 after the demonstration of mass brutality and murder during the brigade's occupation of Matabeleland in what has become known as Gukurahundi (Shona: "the early rain which washes away the chaff before the spring rains"), the campaign which finished off Mugabe's liberation struggle. The Brigade had been re-formed by 2006, with its commander, Brigadier-General John Mupande praising its "rich history". 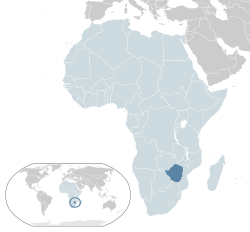 Zimbabwe has a centralised government and is divided into eight provinces and two cities with provincial status, for administrative purposes. Each province has a provincial capital from where government administration is usually carried out. The names of most of the provinces were generated from the Mashonaland and Matabeleland divide at the time of colonisation: Mashonaland was the territory occupied first by the British South Africa Company Pioneer Column and Matabeleland the territory conquered during the First Matabele War. This corresponds roughly to the precolonial territory of the Shona people and the Matabele people, although there are significant ethnic minorities in most provinces. Each province is headed by a Provincial Governor, appointed by the President. The mining sector remains very lucrative, with some of the world's largest platinum reserves being mined by Anglo American plc and Impala Platinum. The Marange diamond fields, discovered in 2006, are considered the biggest diamond find in over a century. They have the potential to improve the fiscal situation of the country considerably, but almost all revenues from the field have disappeared into the pockets of army officers and ZANU-PF politicians. In terms of carats produced, the Marange field is one of the largest diamond producing projects in the world, estimated to produce 12 million carats in 2014 worth over $350 million. [citation needed] Zimbabwe is the biggest trading partner of South Africa on the continent. Since 1 January 2002, the government of Zimbabwe has had its lines of credit at international financial institutions frozen, through US legislation called the Zimbabwe Democracy and Economic Recovery Act of 2001 (ZDERA). Section 4C instructs the Secretary of the Treasury to direct directors at international financial institutions to veto the extension of loans and credit to the Zimbabwean government. According to the United States, these sanctions target only seven specific businesses owned or controlled by government officials and not ordinary citizens. Zimbabwe maintained positive economic growth throughout the 1980s (5% GDP growth per year) and 1990s (4.3% GDP growth per year). The economy declined from 2000: 5% decline in 2000, 8% in 2001, 12% in 2002 and 18% in 2003. Zimbabwe's involvement from 1998 to 2002 in the war in the Democratic Republic of the Congo drained hundreds of millions of dollars from the economy. From 1999–2009, Zimbabwe saw the lowest ever economic growth with an annual GDP decrease of 6.1%. By 2005, the purchasing power of the average Zimbabwean had dropped to the same levels in real terms as 1953. In 2005, the government, led by central bank governor Gideon Gono, started making overtures that white farmers could come back. There were 400 to 500 still left in the country, but much of the land that had been confiscated was no longer productive. By 2016 there were about 300 farms owned by white farmers left out of the original 4,500. The farms left were either too remote or their owners had paid for protection or collaborated with the regime. On 29 January 2009, in an effort to counteract runaway inflation, acting Finance Minister Patrick Chinamasa announced that Zimbabweans will be permitted to use other, more stable currencies to do business, alongside the Zimbabwe dollar. In an effort to combat inflation and foster economic growth the Zimbabwean Dollar was suspended indefinitely on 12 April 2009. In 2016 Zimbabwe allowed trade in the United States dollar and various other currencies such as the rand (South Africa), the pula (Botswana), the euro, and the Pound Sterling (UK). As of October 2014, Metallon Corporation was Zimbabwe's largest gold miner. The group is looking to increase its production to 500,000 troy ounces per annum by 2019. Victoria Falls, the end of the upper Zambezi and beginning of the middle Zambezi. Since the land reform programme in 2000, tourism in Zimbabwe has steadily declined. After rising during the 1990s, (1.4 million tourists in 1999) industry figures described a 75% fall in visitors to Zimbabwe in 2000. [citation needed] By December, less than 20% of hotel rooms had been occupied. Several airlines pulled out of Zimbabwe between 2000 and 2007. Australia's Qantas, Germany's Lufthansa, and Austrian Airlines were among the first to pull out and in 2007 British Airways suspended all direct flights to Harare. The country's flagship airline Air Zimbabwe, which operated flights throughout Africa and a few destinations in Europe and Asia, ceased operations in February 2012. [needs update] As of 2017, several major commercial airlines had resumed flights to Zimbabwe. Zimbabwe has several major tourist attractions. Victoria Falls on the Zambezi, which are shared with Zambia, are located in the north west of Zimbabwe. Before the economic changes, much of the tourism for these locations came to the Zimbabwe side but now Zambia is the main beneficiary. The Victoria Falls National Park is also in this area and is one of the eight main national parks in Zimbabwe, the largest of which is Hwange National Park. The Eastern Highlands are a series of mountainous areas near the border with Mozambique. The highest peak in Zimbabwe, Mount Nyangani at 2,593 m (8,507 ft) is located here as well as the Bvumba Mountains and the Nyanga National Park. World's View is in these mountains and it is from here that places as far away as 60–70 km (37–43 mi) are visible and, on clear days, the town of Rusape can be seen. Zimbabwe is unusual in Africa in that there are a number of ancient ruined cities built in a unique dry stone style. Among the most famous of these are the Great Zimbabwe ruins in Masvingo. Other ruins include Khami Ruins, Zimbabwe, Dhlo-Dhlo and Naletale. The Matobo Hills are an area of granite kopjes and wooded valleys commencing some 22 miles (35 km) south of Bulawayo in southern Zimbabwe. The Hills were formed over 2,000 million years ago with granite being forced to the surface, then being eroded to produce smooth "whaleback dwalas" and broken kopjes, strewn with boulders and interspersed with thickets of vegetation. Mzilikazi, founder of the Ndebele nation, gave the area its name, meaning 'Bald Heads'. They have become a tourist attraction due to their ancient shapes and local wildlife. Cecil Rhodes and other early white pioneers like Leander Starr Jameson are buried in these hills at a site named World's View. Water supply and sanitation in Zimbabwe is defined by many small scale successful programs but also by a general lack of improved water and sanitation systems for the majority of Zimbabwe. According to the World Health Organization in 2012, 80% of Zimbabweans had access to improved, i.e. clean, drinking-water sources, and only 40% of Zimbabweans had access to improved sanitation facilities. Access to improved water supply and sanitation is distinctly less in rural areas. Zimbabwe's total population is 12.97 million. According to the United Nations World Health Organization, the life expectancy for men was 56 years and the life expectancy for women was 60 years of age (2012). An association of doctors in Zimbabwe has made calls for President Mugabe to make moves to assist the ailing health service. The HIV infection rate in Zimbabwe was estimated to be 14% for people aged 15–49 in 2009. UNESCO reported a decline in HIV prevalence among pregnant women from 26% in 2002 to 21% in 2004. Some 85% of Zimbabweans are Christian; 62% of the population attends religious services regularly. The largest Christian churches are Anglican, Roman Catholic, Seventh-day Adventist and Methodist. As in other African countries, Christianity may be mixed with enduring traditional beliefs. Ancestral worship is the most practised non-Christian religion, involving spiritual intercession; the mbira dzavadzimu, which means "voice of the ancestors", an instrument related to many lamellophones ubiquitous throughout Africa, is central to many ceremonial proceedings. Mwari simply means "God the Creator" (musika vanhu in Shona). Around 1% of the population is Muslim. Minority ethnic groups include white Zimbabweans, who make up less than 1% of the total population. White Zimbabweans are mostly of British origin, but there are also Afrikaner, Greek, Portuguese, French and Dutch communities. The white population dropped from a peak of around 278,000 or 4.3% of the population in 1975 to possibly 120,000 in 1999, and was estimated to be no more than 50,000 in 2002, and possibly much less. The 2012 census lists the total white population at 28,782 (roughly 0.22% of the population), one-tenth of its 1975 estimated size. Most emigration has been to the United Kingdom (between 200,000 and 500,000 Britons are of Rhodesian or Zimbabwean origin), South Africa, Botswana, Zambia, Canada, Australia and New Zealand. Coloureds form 0.5% of the population, and various Asian ethnic groups, mostly of Indian and Chinese origin, are also 0.5%. According to the 2017 Inter Censal Demography Survey by the Zimbabwe National Statistics Agency 69.2 percent of Zimbabweans belong to Protestant Christianity, 8.0 percent are Roman Catholic, in total 84.1 percent follow one of the denominations of Christianity. 10.2 percent of the population doesn't belong to any religion, while the 0.7 percent is Muslim. Zimbabwe first celebrated its independence on 18 April 1980. Celebrations are held at either the National Sports Stadium or Rufaro Stadium in Harare. The first independence celebrations were held in 1980 at the Zimbabwe Grounds. At these celebrations, doves are released to symbolise peace and fighter jets fly over and the national anthem is sung. The flame of independence is lit by the president after parades by the presidential family and members of the armed forces of Zimbabwe. The president also gives a speech to the people of Zimbabwe which is televised for those unable to attend the stadium. Zimbabwe also has a national beauty pageant, the Miss Heritage Zimbabwe contest which has been held annually ever since 2012. Traditional arts in Zimbabwe include pottery, basketry, textiles, jewellery and carving. Among the distinctive qualities are symmetrically patterned woven baskets and stools carved out of a single piece of wood. Shona sculpture has become better known after finding initial popularity in the 1940s. [citation needed] Most subjects of carved figures of stylised birds and human figures among others are made with sedimentary rocks such as soapstone, as well as harder igneous rocks such as serpentine and the rare stone verdite. Zimbabwean artefacts can be found in countries like Singapore, China and Canada. e.g. Dominic Benhura's statue in the Singapore Botanic Gardens. Notable artists include Henry Mudzengerere and Nicolas Mukomberanwa. A recurring theme in Zimbabwean art is the metamorphosis of man into beast. Zimbabwean musicians like Thomas Mapfumo, Oliver Mtukudzi, the Bhundu Boys; Stella Chiweshe, Alick Macheso and Audius Mtawarira have achieved international recognition. Among members of the white minority community, Theatre has a large following, with numerous theatrical companies performing in Zimbabwe's urban areas. This is usually eaten as lunch or dinner, usually with sides such as gravy, vegetables (spinach, chomolia, or spring greens/collard greens), beans, and meat (stewed, grilled, roasted, or sundried). Sadza is also commonly eaten with curdled milk (sour milk), commonly known as "lacto" (mukaka wakakora), or dried Tanganyika sardine, known locally as kapenta or matemba. Bota is a thinner porridge, cooked without the additional cornmeal and usually flavoured with peanut butter, milk, butter, or jam. Bota is usually eaten for breakfast. Football (also known as soccer) is the most popular sport in Zimbabwe. [citation needed] The Warriors have qualified for the Africa Cup of Nations three times (2004, 2006, 2017), and won the Southern Africa championship on six occasions (2000, 2003, 2005, 2009, 2017, 2018) and the Eastern Africa cup once (1985). The team is ranked 115th in the world (Fifa World Rankings Nov 2018). Rugby union is a significant sport in Zimbabwe. The national side have represented the country at 2 Rugby World Cup tournaments in 1987 and 1991. The team are ranked 26 in the world by World Rugby. Cricket also has a following among the white minority. It is one of twelve Test cricket playing nations and a ICC full member as well. Notable cricket players from Zimbabwe include Andy Flower, Heath Streak and Brendan Taylor. Zimbabwe has won eight Olympic medals, one in field hockey with the women's team at the 1980 Summer Olympics in Moscow, and seven by swimmer Kirsty Coventry, three at the 2004 Summer Olympics and four at the 2008 Summer Olympics. Zimbabwe has also done well in the Commonwealth Games and All-Africa Games in swimming with Kirsty Coventry obtaining 11 gold medals in the different competitions. Zimbabwe has also competed at Wimbledon and the Davis Cup in tennis, most notably with the Black family, which comprises Wayne Black, Byron Black and Cara Black. Zimbabwe has also done well in golf. The Zimbabwean Nick Price held the official World Number 1 status longer than any player from Africa has ever done in the 24-year history of the ranking. Other sports played in Zimbabwe are basketball, volleyball, netball, and water polo, as well as squash, motorsport, martial arts, chess, cycling, polocrosse, kayaking and horse racing. However, most of these sports do not have international representatives but instead stay at a junior or national level. Zimbabwean professional rugby league players playing overseas are Masimbaashe Motongo and Judah Mazive. Former players include now SANZAAR CEO Andy Marinos who made an appearance for South Africa at the Super League World Nines and featured for the Sydney Bulldogs as well as Zimbabwe-born former Scotland rugby union international Scott Gray, who spent time at the Brisbane Broncos. In 2010 the Zimbabwe Media Commission was established by the inclusive, power-sharing government. In May 2010 the Commission licensed three new privately owned newspapers, including the previously banned Daily News, for publication. Reporters Without Borders described the decisions as a "major advance". In June 2010 NewsDay became the first independent daily newspaper to be published in Zimbabwe in seven years. Since the 2002 Access to Information and Protection of Privacy Act (AIPPA) was passed, a number of privately owned news outlets were shut down by the government, including Daily News whose managing director Wilf Mbanga went on to form the influential The Zimbabwean. As a result, many press organisations have been set up in both neighbouring and Western countries by exiled Zimbabweans. Because the internet is unrestricted, many Zimbabweans are allowed to access online news sites set up by exiled journalists. Reporters Without Borders claims the media environment in Zimbabwe involves "surveillance, threats, imprisonment, censorship, blackmail, abuse of power and denial of justice are all brought to bear to keep firm control over the news." The main published newspapers are The Herald and The Chronicle which are printed in Harare and Bulawayo respectively. The heavy-handedness on the media has progressively relaxed since 2009. In its 2008 report, Reporters Without Borders ranked the Zimbabwean media as 151st out of 173. The government also bans many foreign broadcasting stations from Zimbabwe, including the CBC, Sky News, Channel 4, American Broadcasting Company, Australian Broadcasting Corporation (ABC), and Fox News. News agencies and newspapers from other Western countries and South Africa have also been banned from the country. It was in the Matabeleland region in Zimbabwe that, during the Second Matabele War, Robert Baden-Powell, the founder of Scouting, and Frederick Russell Burnham, the American-born Chief of Scouts for the British Army, first met and began their lifelong friendship. In mid-June 1896, during a scouting patrol in the Matobo Hills, Burnham began teaching Baden-Powell woodcraft. Baden-Powell and Burnham discussed the concept of a broad training programme in woodcraft for young men, rich in exploration, tracking, fieldcraft, and self-reliance. It was also during this time in the Matobo Hills that Baden-Powell first started to wear his signature campaign hat like the one worn by Burnham. Scouting in the former Rhodesia and Nyasaland started in 1909 when the first Boy Scout troop was registered. Scouting grew quickly and in 1924 Rhodesia and Nyasaland sent a large contingent to the second World Scout Jamboree in Ermelunden, Denmark. In 1959, Rhodesia hosted the Central African Jamboree at Ruwa. In 2009, Scouts celebrated 100 years of Scouting in Zimbabwe and hundreds of Scouts camped at Gordon Park, a Scout campground and training area, as part of these celebrations. Besides scouting, there are also leadership, life skills and general knowledge courses and training experiences mainly for schoolchildren ranging from pre-school to final year high school students and sometimes those beyond high school. These courses and outings are held at, for example, Lasting Impressions (Lasting Impressions ~Zimbabwe on YouTube), Far and Wide Zimbabwe (Far and wide.) and Chimanimani Outward Bound (Outwardbound Zimbabwe at the Wayback Machine (archived 16 June 2007)). The stone-carved Zimbabwe Bird appears on the national flags and the coats of arms of both Zimbabwe and Rhodesia, as well as on banknotes and coins (first on Rhodesian pound and then Rhodesian dollar). It probably represents the bateleur eagle or the African fish eagle. The famous soapstone bird carvings stood on walls and monoliths of the ancient city of Great Zimbabwe, built, it is believed, sometime between the 13th and 16th centuries by ancestors of the Shona. The ruins, which gave their name to modern Zimbabwe, cover some 1,800 acres (7.3 km2) and are the largest ancient stone construction in Zimbabwe. Zimbabwe suffered occasional outbreaks of acute diseases (such as plague in 1994). The gains on the national health were eroded by structural adjustment in the 1990s, the impact of the HIV/AIDS pandemic and the economic crisis since the year 2000. In 2006, Zimbabwe had one of the lowest life expectancies in the world according to UN figure—44 for men and 43 for women, down from 60 in 1990, but recovered to 60 in 2015. The rapid drop was ascribed mainly to the HIV/AIDS pandemic. Infant mortality rose from 6% in the late 1990s to 12.3% by 2004. By 2016 HIV/AIDS prevalence had been reduced to 13.5% compared to 40% in 1998. The health system has more or less collapsed. At the end of November 2008, some operations at three of Zimbabwe's four major referral hospitals had shut down, along with the Zimbabwe Medical School, and the fourth major hospital had two wards and no operating theatres working. Due to hyperinflation, those hospitals still open were not able to obtain basic drugs and medicines. The situation changed drastically after the Unity Government and the introduction of the multi-currency system in February 2009 although the political and economic crisis also contributed to the emigration of the doctors and people with medical knowledge. In August 2008 large areas of Zimbabwe were struck by the ongoing cholera epidemic. By December 2008 more than 10,000 people had been infected in all but one of Zimbabwe's provinces and the outbreak had spread to Botswana, Mozambique, South Africa and Zambia. On 4 December 2008 the Zimbabwe government declared the outbreak to be a national emergency and asked for international aid. Due to large investments in education since independence, Zimbabwe has the highest adult literacy rate in Africa which in 2013 was 90.70%. This is lower than the 92% recorded in 2010 by the United Nations Development Programme and the 97.0% recorded in the 2002 census, while still substantially higher than 80.4% recorded in the 1992 census. Zimbabwe's education system consists of two years of pre-school, seven years of primary and six years of secondary schooling before students can enter university in the country or abroad. The academic year in Zimbabwe runs from January to December, with three terms, broken up by one month holidays, with a total of 40 weeks of school per year. National examinations are written during the third term in November, with "O" level and "A" level subjects also offered in June. There are seven public (Government) universities as well as four church-related universities in Zimbabwe that are fully internationally accredited. The University of Zimbabwe, the first and largest, was built in 1952 and is located in the Harare suburb of Mount Pleasant. Notable alumni from Zimbabwean universities include Welshman Ncube; Peter Moyo (of Amabhubesi); Tendai Biti, Chenjerai Hove, Zimbabwean poet, novelist and essayist; and Arthur Mutambara. Many of the politicians in the government of Zimbabwe have obtained degrees from universities in USA or other universities abroad. National University of Science and Technology (NUST) is the second largest public research university in Zimbabwe located in Bulawayo. It was established in 1991. The National University of Science and Technology strives to become a flourishing and reputable institution not only in Zimbabwe and in Southern Africa but also among the international fraternity of Universities. Its guidance, cultural values is the encouragement of all its members and society of those attitudes of fair mindedness, understanding, tolerance and respect for people and views which are essential for the attainment and maintenance of justice, peace and harmony at all times. Africa University is a United Methodist related university institution located in Manicaland which attracts students from at least 36 African countries. The institution has been growing steadily and has steady study material and learning facilities. The highest professional board for accountants is the Institute of Chartered Accountants of Zimbabwe (ICAZ) with direct relationships with similar bodies in South Africa, Canada, the UK and Australia. A qualified Chartered Accountant from Zimbabwe is also a member of similar bodies in these countries after writing a conversion paper. In addition, Zimbabwean-trained doctors only require one year of residence to be fully licensed doctors in the United States. The Zimbabwe Institution of Engineers (ZIE) is the highest professional board for engineers. ^ a b c "The World Factbook – Zimbabwe". Central Intelligence Agency. ^ a b c "Constitution of Zimbabwe (final draft)" (PDF). Government of Zimbabwe. January 2013. Archived from the original (PDF) on 2 October 2013 – via Kubatana.net. ^ Developments in English. International Association of University Professors of English Conference. Cambridge University Press. 31 October 2014. ISBN 9781107038509 – via Google Books. ^ a b c "World Population Prospects: The 2017 Revision". ESA.UN.org (custom data acquired via website). United Nations Department of Economic and Social Affairs, Population Division. Retrieved 10 September 2017. ^ a b "Census Results in Brief" (PDF). Zimbabwe National Statistical Agency. Archived from the original (PDF) on 3 September 2013. Retrieved 25 August 2013. ^ "GINI Index". World Bank. Retrieved 21 July 2013. ^ "2018 Human Development Report". United Nations Development Programme. 2018. Retrieved 14 September 2018. ^ "Zimbabwe Time". Greenwich Mean Time. Greenwich 2000. Archived from the original on 19 July 2011. Retrieved 17 November 2017. ^ Johnson, Boris (15 November 2017). "Robert Mugabe tarnished the jewel that is Zimbabwe. Now is its chance to shine again" – via www.telegraph.co.uk. ^ Lessing, Doris (10 April 2003). "The Jewel of Africa" – via www.nybooks.com. ^ Chifera, Irwin. "What Happened to Zimbabwe, Once Known as The Jewel of Africa?". ^ "Zimbabwe 2015 Human Rights Report". United States Department of State Bureau of Democracy, Human Rights, and Labor. 2015. Retrieved 6 May 2016. ^ "Zimbabwe's Robert Mugabe". BBC. 16 August 2013. Retrieved 6 May 2016. ^ "Archbishop Desmond Tutu lambasts African silence on Zimbabwe". USA Today. 16 March 2007. Retrieved 6 May 2016. ^ "What Caused Zimbabwe's Economic Crash?". Quora. 29 November 2015 – via Slate. ^ a b McKenzie, David; Swails, Brent; Dewan, Angela. "Zimbabwe in turmoil after apparent coup". CNN. Retrieved 2017-11-15. ^ a b "Zimbabwe's Robert Mugabe confined to home as army takes control". The Guardian. 15 November 2017. Retrieved 15 November 2017. ^ "Ruling party sacks Mugabe as leader". BBC News. BBC. Retrieved 19 November 2017. ^ a b "Zimbabwe's President Mugabe 'resigns'". BBC News. Retrieved 21 November 2017. ^ ___. "BREAKING- Record 23 Presidential Candidates For Zimbabwe's July 30 Polls | ZimEye". Retrieved 2019-01-17. ^ Mabhena, Charles (2018-08-02). "BREAKING NEWS: Emerson Mnangagwa wins Zimbabwe Presidential Elections 2018, ZEC". ZWNEWS | Zimbabwe News | Latest Zimbabwe | Zim News Latest | Zim Latest News | Zimnews. Retrieved 2019-01-17. ^ "Zim ConCourt dismisses MDC's challenge, confirms Mnangagwa winner - SABC News - Breaking news, special reports, world, business, sport coverage of all South African current events. Africa's news leader". www.sabcnews.com. Retrieved 2019-01-17. ^ "Top Zimbabwe court confirms Mnangagwa's presidential election victory". Reuters. 2018-08-25. Retrieved 2019-01-17. ^ "Zimbabwe – big house of stone". Somali Press. Retrieved 14 December 2008. ^ Lafon, Michel (1994). "Shona Class 5 revisited: a case against *ri as Class 5 nominal prefix" (PDF). Zambezia. 21: 51–80. ^ Garlake, Peter (1973). Great Zimbabwe: New Aspects of Archaeology. London, UK: Thames & Hudson. p. 13. ISBN 978-0-8128-1599-3. ^ a b c d Fontein, Joost (September 2006). The Silence of Great Zimbabwe: Contested Landscapes and the Power of Heritage (First ed.). London: University College London Press. pp. 119–20. ISBN 978-1844721238. ^ a b c Ndlovu-Gatsheni, Sabelo J. (2009). Do "Zimbabweans" Exist? Trajectories of Nationalism, National Identity Formation and Crisis in a Postcolonial State (First ed.). Bern: Peter Lang AG. pp. 113–14. ISBN 978-3-03911-941-7. ^ "Pre-colonial history of SA". South African History Online. Retrieved 17 July 2016. ^ Gray, J. A. (1956). "A Country in Search of a Name". The Northern Rhodesia Journal. 3 (1): 78. ^ a b Moorcraft, Paul (31 August 1990). "Rhodesia's War of Independence". History Today. 40 (9). [P]er head of (white) population Rhodesia had contributed more in both world wars than any other part of the empire, including the United Kingdom. ... There is little doubt now that after a few resignations here and there, the army, the Royal Navy and even the Royal Air Force (supposedly the most disaffected service) would have carried out any orders to subdue the first national treason against the Crown since the American War of Independence. ^ "On This Day". BBC News. 1 June 1979. Retrieved 14 December 2008. ^ George M. Houser. "Letter by George M. Houser, Executive Director of the American Committee on Africa (ACOA), on the 1980 independence election in Rhodesia". Retrieved 1 December 2007. ^ Smith, Ian (2008). Bitter Harvest. London: John Blake Publishing Ltd. p. 367. ISBN 978-1-85782-604-3. ^ Godwin, Peter; Hancock, Ian (1995) . 'Rhodesians Never Die': The Impact of War and Political Change on White Rhodesia, c. 1970–1980. Harare: Baobab Books. p. 312. ISBN 978-0-908311-82-8. ^ a b c Meredith, Martin (September 2007) . Mugabe: Power, Plunder and the Struggle for Zimbabwe. New York: PublicAffairs. pp. 62–73. ISBN 978-1-58648-558-0. ^ "Report on the 1980s disturbances in Matabeleland and the Midlands, by the Catholic Commission for Justice and Peace in Zimbabwe, March 1997 – Conclusion – FINAL ESTIMATE: The figure for the dead and missing is not less than 3000. This statement is now beyond reasonable doubt. Adding up the conservative suggestions made above, the figure is reasonably certainly 3750 dead. More than that it is still not possible to say, except to allow that the real figure for the dead could be possibly double 3000, or even higher. Only further research will resolve the issue" (PDF). ^ "Gukurahundi killed 80,000: Eddie Cross". Archived from the original on 12 November 2016. Retrieved 11 November 2016. ^ Catholic Commission for Justice and Peace in Zimbabwe; Legal Resources Foundation (1 January 1997). "Breaking the Silence, Building True Peace" – via Internet Archive. ^ "REPORT ON THE 1980s DISTURBANCES IN MATABELELAND & THE MIDLANDS". Catholic Commission for Justice and Peace in Zimbabwe. March 1997. Retrieved 8 August 2015. ^ "Chronology of Zimbabwe". badley.info. Archived from the original on 23 November 2008. Retrieved 9 December 2008. ^ "Timeline: Zimbabwe". BBC News. 15 October 2009. Retrieved 9 December 2008. ^ "Zimbabwe: 1990 General Elections". EISA. Archived from the original on 5 December 2008. Retrieved 9 December 2008. ^ Moyo, Jonathon M. "Voting for Democracy: A Study of Electoral Politics in Zimbabwe". University of Zimbabwe. Archived from the original on 2 September 2009. Retrieved 9 December 2008. ^ "A Brief History of Zimbabwe". about.com. Archived from the original on 8 January 2008. ^ "Zimbabwe: ZANU PF hegemony and its breakdown (1990–1999)". EISA. Archived from the original on 5 December 2008. Retrieved 9 December 2008. ^ "History of Zimbabwe". Infoplease. ^ "History of HIV & AIDS in Africa". AVERT. Retrieved 8 August 2015. ^ "Britain's troubles with Mugabe". BBC News. 3 April 2000. ^ Polgreen, Lydia (20 July 2012). "In Zimbabwe Land Takeover, a Golden Lining". The New York Times. Retrieved 21 July 2012. ^ "Council Common Position renewing restrictive measures against Zimbabwe" (PDF). Council of the European Union. 26 January 2009. ^ "Zimbabwe Suspended Indefinitely from Commonwealth". Human Rights First. 8 December 2003. Archived from the original on 29 June 2007. ^ "Commonwealth website confirms Zimbabwe "terminated" its membership with effect from 7 December 2003". Thecommonwealth.org. 12 December 2003. Archived from the original on 5 July 2008. ^ "Text of S. 494 (107th): Zimbabwe Democracy and Economic Recovery Act of 2001 (Passed Congress/Enrolled Bill version)". GovTrack. 12 December 2001. Retrieved 29 December 2016. This article incorporates text from this source, which is in the public domain. ^ "Zimbabwe destruction: One man's story". BBC. 30 August 2005. Retrieved 19 December 2008. ^ "Zimbabwe: Housing policy built on foundation of failures and lies – Amnesty International". 9 August 2006. Archived from the original on 10 October 2006. Retrieved 30 December 2013. ^ Jacobson, Celean (24 November 2008). "Carter warns situation appears dire in Zimbabwe". Fox News. Associated Press. ^ Ndlovu, Nompilo (2009). "A case study of Non-Governmental Organisations' (NGOS) responses to food insecurity in Matabeleland, Zimbabwe". ^ "Mugabe wants sanctions removed". United Press International. 18 December 2010. Retrieved 21 August 2011. ^ Booysen, Susan (4 March 2011). Changing Perceptions in Zimbabwe – Nationwide Survey of the Political Climate in Zimbabwe November 2010 – January 2011 (PDF) (Report). Freedom House. Archived from the original (PDF) on 12 December 2012. Retrieved 16 February 2012. ^ OCHA in 2012–2013: Plan and Budget: Zimbabwe (Report). United Nations Office for the Coordination of Humanitarian Affairs. December 2011. Archived from the original on 30 January 2012. Retrieved 16 February 2012. ^ Chinaka, Cris (17 January 2013). "Mugabe deputy John Nkomo dies after cancer battle". Reuters. Retrieved 30 December 2013. ^ Dzirutwe, MacDonald. "Zimbabweans start voting to adopt new constitution". Reuters. Archived from the original on 27 September 2013. Retrieved 16 March 2013. ^ a b c "Bailing out bandits". The Economist. 420 (8997). 9 July 2016. pp. 43–44. ISSN 0013-0613. Retrieved 8 July 2016. ^ "Zimbabwe election: A guide to rigging allegations". BBC News. 7 August 2013. Retrieved 7 June 2016. ^ "As the House Burns, Whither the Zimbabwean Opposition? – By Nicole Beardsworth – African Arguments". ^ Matyszak, Derek (20 September 2017). "Zimbabwe's shady police roadblocks reflect its failing governance - ISS Africa". ISS Africa. Retrieved 2017-09-22. ^ "Zimbabwe 'shut down' over economic collapse". BBC News. Retrieved 7 July 2016. ^ Raath, Jan; Graham, Stuart (25 July 2016). "Mugabe at war with militias that keep him in power". The Times. Retrieved 25 July 2016. (Subscription required (help)). ^ "The costs of the Robert Mugabe era". newzimbabwe.com. Archived from the original on 1 February 2018. Retrieved 12 March 2018. ^ Moore, A E; et al. (2009). "Landscape evolution in Zimbabwe from the Permian to present, with implications for kimberlite prospecting" (PDF). Geological Society of South Africa. 112: 1–47–88. ^ "Chaos as tobacco sales start". NewsdezeZimbabwe. Archived from the original on 27 September 2013. Retrieved 21 March 2015. ^ "Tekere says Mugabe 'insecure' in new book". Archived from the original on 27 December 2007. Retrieved 6 January 2008. ^ a b Frankel, Matthew. "Myanmar Boycott is Misguided" Archived 11 May 2011 at the Wayback Machine, The Brookings Institution, 26 May 2010. ^ Zimbabwe: Election Fraud Report, 04/18/05. University of Pennsylvania, 18 April 2005. ^ "Mugabe's former ally accuses him of foul play", Independent Online Zimbabwe, 12 March 2005. ^ "Zimbabwe stands 'on a precipice'". BBC News. 31 March 2008. Retrieved 6 June 2012. ^ "Mugabe critics predict fraud in Zimbabwe elections". CNN. 28 March 2008. ^ "Mugabe rival quits election race". BBC News. 22 June 2008. ^ a b Latham, Brian (4 March 2002). "Contrast in styles as contenders hold rallies in Harare townships". The Independent. UK. Archived from the original on 29 December 2013. ^ "Zimbabwe's MDC factions reunite". Archived from the original on 2 May 2008. Retrieved 13 February 2009. , SABC News, 28 April 2008. ^ a b "Opposition reunites in Zimbabwe". BBC News. 28 April 2008. Retrieved 6 June 2012. ^ Chinaka, Cris (29 April 2008) All eyes on Zim as ZEC wrap-up recount, Reuters via iol.co.za; accessed 4 May 2016. ^ Dugger, Celia W. (3 November 2008). "Aid Group Says Zimbabwe Misused $7.3 Million". The New York Times. ^ "Zimbabwe: Election chief Mutambanengwe resigns". BBC News. 2013. ^ "Police baton charge Harare protesters". ABC News. 3 December 2008. ^ "Mass grave discovered". Manicapost.com. 22 March 2013. Retrieved 30 December 2013. ^ "Exhumation begins at the Rusape Heroes Acre". Bulawayo24.com. Retrieved 30 December 2013. ^ "ZANLA cadre exhumed in Chibondo". Zbc.co.zw. 14 August 2011. Archived from the original on 29 October 2013. Retrieved 30 December 2013. ^ a b "Zimbabwe mass grave used as political propaganda". Canadian Broadcasting Corporation. 31 March 2011. Retrieved 30 December 2013. ^ "Zimbabwe: Mass grave bodies must be exhumed by forensic experts". Amnesty International. 6 April 2011. Archived from the original on 7 December 2014. ^ a b "Zimbabwe". Amnesty International. Archived from the original on 3 December 2007. Retrieved 2 December 2007. ^ "Zimbabwe – Events of 2006". Human Rights Watch. Archived from the original on 11 October 2007. Retrieved 2 December 2007. ^ "State Sponsored Homophobia 2016: A world survey of sexual orientation laws: criminalisation, protection and recognition" (PDF). International Lesbian, Gay, Bisexual, Trans and Intersex Association. 17 May 2016. ^ "BBC News - Africa - Zimbabwe gay rights face dim future". news.bbc.co.uk. ^ Whitaker, Raymond (22 June 2008). "Zimbabwe election violence spreads to Harare". The New Zealand Herald. Retrieved 7 December 2008. ^ a b "Unbowed Tsvangirai urges defiance". BBC. 14 March 2007. Retrieved 2 December 2007. ^ a b The Herald, Zimbabwe (14 March 2007). "Opposition protesters' case not heard". Archived from the original on 16 March 2007. Retrieved 14 March 2007. ^ Zimbabwe Press, Media, TV, Radio, Newspapers Press Reference, 2006. ^ "Zimbabwe newspaper bombed". BBC News. 28 January 2001. Retrieved 6 June 2012. ^ Wines, Michael (7 February 2004). "Zimbabwe: Newspaper Silenced". The New York Times. Retrieved 6 June 2012. ^ a b "Zimbabwe lifts reporting ban on BBC and CNN", The Daily Telegraph, 30 July 2009. ^ Nkosi, Milton (1 April 2005). "Why did Zimbabwe ban the BBC?". BBC News. Retrieved 6 June 2012. ^ "Al Jazeera kicked out of Zimbabwe". Archived from the original on 23 June 2008. Retrieved 1 June 2016. , zimbabwemetro.com, 22 June 2008. ^ "Zimbabwe Ministry of Defence". Archived from the original on 2 November 2007. Retrieved 17 November 2007. ^ "Zimbabwe Defence Forces News". ZDF News. Retrieved 17 April 2009. ^ Chari, Freeman Forward (24 December 2007). "MILITARISATION OF ZIMBABWE: Does the opposition stand a chance?". zimbabwejournalists.com. Archived from the original on 5 January 2008. ^ Godwin, Peter (1996). Mukiwa – A White Boy in Africa. London, UK: Macmillan. ISBN 978-0-333-67150-4. ^ "Ministry of Defence, Zimbabwe". Archived from the original on 2 November 2007. Retrieved 11 November 2007. ^ "5th Brigade gets new commander". Zimbabwe Defence Forces News. 22 February 2006. Retrieved 18 April 2009. ^ "Constitution of the Republic of Zimbabwe" (PDF). Parliament of Zimbabwe. Archived from the original (PDF) on 21 December 2008. Retrieved 19 December 2008. ^ "Provincial Councils and Administration Act (Chapter 29:11)" (PDF). Parliament of Zimbabwe. Archived from the original (PDF) on 27 December 2013. Retrieved 19 December 2008. ^ "Rural District Councils Act (Chapter 29:13)" (PDF). Parliament of Zimbabwe. Archived from the original (PDF) on 27 December 2013. Retrieved 19 December 2008. ^ "Traditional Leaders Act (Chapter 29:17)" (PDF). Parliament of Zimbabwe. Archived from the original (PDF) on 4 September 2015. Retrieved 19 December 2008. ^ "Country Profile – Zimbabwe". Foreign Affairs and International Trade Canada. Archived from the original on 26 February 2008. Retrieved 2 December 2007. Since the country is well endowed with natural resources such as minerals, arable land and wildlife, many opportunities lie in resource-based activities such as mining, agriculture and tourism and their downstream industrial activities. ^ a b c Madslien, Jorn (14 April 2008). "No quick fix for Zimbabwe's economy". BBC. Retrieved 19 December 2008. ^ "Diamond company in trouble with Harare MPs", Independent Online, South Africa, 2 February 2010. ^ "Diamonds in the rough, report by Human Rights Watch". Human Rights Watch. 26 June 2009. Retrieved 6 June 2012. ^ "Ranking Of The World's Diamond Mines By Estimated 2013 Production", Kitco, 20 August 2013. ^ "Zimbabwe-South Africa economic relations since 2000". Africa News. 31 October 2007. Archived from the original on 1 January 2008. Retrieved 3 December 2007. Zimbabwe remains South Africa's most important trading partner in Africa. ^ "Zimbabwe Economy: Facts, Data, & Analysis on Economic Freedom". Heritage.org. 12 January 2012. Retrieved 6 June 2012. ^ "FACTBOX: Zimbabwe's meltdown in figures". Reuters. 29 June 2008. Retrieved 30 May 2010. ^ Wadhams, Nick (1 August 2007). "Zimbabwe's Wildlife Decimated by Economic Crisis". Nairobi: National Geographic News. Retrieved 5 August 2007. ^ Zimbabwe Ranked Fastest growing Internet Market. Biztechafrica.com (10 August 2011); retrieved 4 July 2013. ^ Why ICT is critical in ‘illiterate’ Africa|BiztechAfrica Business, Telecom, Technology & IT News Africa. Biztechafrica.com (3 December 2012); retrieved 4 July 2013. ^ "Zimbabwe Democracy And Economic Recovery Act of 2001 at Govtrack.us News". 18 October 2011. ^ Boucher, Richard (2 March 2004). "Zimbabwe: Sanctions Enhancement" (Press release). United States Department of State. Archived from the original on 3 June 2006. ^ Richardson, Craig J. "The loss of property rights and the collapse of Zimbabwe" (PDF). Cato Journal. 25: 541–565. Archived from the original (PDF) on 2 January 2011. Retrieved 10 November 2010. ^ "Organised Violence and Torture in Zimbabwe in 1999". Archived from the original on 2 June 2010. Retrieved 16 March 2007. CS1 maint: Unfit url (link), Zimbabwe Human Rights NGO Forum (1999). ^ "Zimbabwe President Mugabe labels white farmers 'enemies'". Archived from the original on 29 June 2006. Retrieved 20 September 2007. CS1 maint: Unfit url (link). CNN (18 April 2000). ^ Robinson, Simon (18 February 2002). "A Tale of Two Countries", Time; accessed 4 May 2016. ^ "Zimbabwe forbids white farmers to harvest". USA Today. 24 June 2002. Retrieved 6 June 2012. ^ "White farmers under siege in Zimbabwe". BBC News. 15 August 2002. Archived from the original on 6 January 2012. Retrieved 6 June 2012. ^ Mugabe Interview: The Full Transcript, News.sky.com (24 May 2004); retrieved 4 July 2013. ^ Clemens, Michael; Moss, Todd (20 July 2005). Costs and Causes of Zimbabwe's Crisis (Report). Center for Global Development. Retrieved 4 April 2011. ^ Meldrum, Andrew (21 May 2005). "As country heads for disaster, Zimbabwe calls for return of white farmers". The Guardian. London, UK. Retrieved 4 April 2011. ^ Timberg, Craig (6 January 2007). "White Farmers Given Leases in Zimbabwe". The Washington Post. Retrieved 4 April 2011. ^ "Zimbabwe threatens white farmers". The Washington Post. Associated Press. 5 February 2007. Retrieved 4 April 2011. ^ Chinaka, Cris (8 August 2007). "Zimbabwe threatens white farmers on evictions". Reuters. Retrieved 4 April 2011. ^ "How to stay alive when it all runs out". The Economist. 12 July 2007. Retrieved 6 June 2012. ^ "Zimbabwe inflation hits 11,200,000 percent". CNN. 19 August 2008. Retrieved 4 May 2016. ^ "Zimbabwe introduces 100-billion-dollar note". Agence France-Presse. 19 July 2008. Archived from the original on 27 September 2013. Retrieved 28 March 2010. ^ "Zimbabwe abandons its currency". BBC News. 29 January 2009. Retrieved 4 April 2011. ^ "Zimbabwe Suspends Use of Own Currency". VOA News. 12 April 2009. ^ Giokos, Eleni (29 February 2016). "This country has nine currencies". CNNMoney. Retrieved 8 January 2017. ^ a b c d e f "Zimbabwe Overview". The World Bank. World Bank Group. 4 October 2016. Retrieved 8 January 2017. ^ "Zimbabwe economy buoyant, more reform needed: IMF". Reuters. 8 November 2010. ^ "Zimbabwe economy growing: IMF". talkzimbabwe.co. 9 November 2010. Archived from the original on 12 November 2010. ^ Chitiyo, Know; Vines, Alex; Vandome, Christopher (September 2016). "The Domestic and External Implications of Zimbabwe's Economic Reform and Re-engagement Agenda" (PDF). Chatham House. Royal Institute for International Affairs. Retrieved 8 January 2017. ^ Dube, Jennifer (3 April 2011). "Zimplats ignores seizure threat". The Standard. Harare, Zimbabwe. Archived from the original on 11 May 2011. Retrieved 4 April 2011. ^ "IMARA: Global investors get upbeat briefing on Zim prospects" (Press release). IMARA. 17 February 2011. Archived from the original on 11 May 2011. Retrieved 4 April 2011. ^ Kitsepile, Nyathi (30 January 2013) Zimbabwe has only $217 in the bank, says finance minister: News, Africareview.com; retrieved 4 July 2013. ^ Zimbabwe Claims Its Accounts Are Bare. Newsmax.com (30 January 2013); retrieved 4 July 2013. ^ a b Marawanyika, Godfrey, Biggest Zimbabwe Gold Miner to Rule on London Trade by March, Bloomberg News, 17 October 2014. Retrieved 3 August 2016. ^ Mumera, Wisdom (9 Jan 2016). "Zimbabwe's Coffee Production Declines". newsofhesouth.com. ^ a b Machipisa, Lewis (14 March 2001). "Sun sets on Zimbabwe tourism". BBC News. Retrieved 16 November 2007. ^ "Travel and tourism: Economic impact 2017 Zimbabwe" (PDF). March 2017. ^ Berger, Sebastien (29 October 2007). "British Airways abandons flights to Zimbabwe". The Daily Telegraph. London, UK. Archived from the original on 30 November 2007. Retrieved 16 November 2007. ^ Sibanda, Tichaona (23 February 2012). "Zimbabwe: Air Zimbabwe Vanishes From the Skies Indefinitely". allAfrica.com. Retrieved 6 June 2012. ^ "Zimbabwe Tourism Authority". Archived from the original on 3 December 2007. Retrieved 16 November 2007. ^ "Zimbabwe: The Spirit of Matobo". zimbabwe.safari.co.za. Archived from the original on 1 November 2013. ^ "Exposure Data by Country", World Health Organization; accessed 19 October 2014. ^ a b "Water Supply and Sanitation in Zimbabwe AMCOW. Collaboratively published report circa 2010, wsp.org; accessed 4 May 2016. ^ a b c d e f Lemarchand, Guillermo A.; Schneegans, Susan, eds. (2014). Mapping Research and Innovation in the Republic of Zimbabwe (PDF). Paris: UNESCO. pp. Volume 2. GO–SPIN Profiles in Science, Technology and Innovation. ISBN 978-92-3-100034-8. ^ a b c d e f g UNESCO Science Report: towards 2030 (PDF). Paris: UNESCO. 2015. pp. 535–555. ISBN 978-92-3-100129-1. ^ "WHO – Zimbabwe". Retrieved 17 January 2015. ^ Thornycroft, Peta (10 April 2006). "In Zimbabwe, life ends before 40". The Sydney Morning Herald. Harare. Retrieved 10 April 2006. ^ "HIV Prevalence Rates Fall in Zimbabwe". UNESCO. Retrieved 3 December 2007. ^ MSN Encarta. Archived from the original on 31 October 2007. Retrieved 13 November 2007. ^ "Zimbabwe". Archived from the original on 24 July 2011. Retrieved 22 January 2008. ^ "Zimbabwe – International Religious Freedom Report 2005". U.S. Department of State. Retrieved 3 December 2007. An estimated 1% of the total population is Muslim. ^ "The People of Zimbabwe". Archived from the original on 12 July 2007. Retrieved 13 November 2007. ^ a b "Ethnicity/Race of Zimbabwe". Retrieved 6 January 2008. ^ a b Zimbabwe Population Census 2012 Archived 1 September 2014 at the Wayback Machine, zimstat.co.zw; accessed 4 May 2016. ^ Zimbabwe Demographic and Health Survey 2005–06 Archived 2 April 2015 at the Wayback Machine, zimstat.co.zw; accessed 4 May 2016. ^ Meldrum, Andrew (1 July 2007). "Refugees flood from Zimbabwe The Observer". The Guardian. London, UK. Retrieved 6 April 2010. ^ "Zimbabwean refugees suffer in Botswana and South Africa". Sokwanele Civic Action Group. 20 July 2007. Archived from the original on 28 September 2007. ^ a b c d "Displacement Monitoring Centre (IDMC), Internal displacement in Zimbabwe". Archived from the original on 25 August 2014. Retrieved 22 August 2014. ^ "The Many Faces of Displacement: IDPs in Zimbabwe" (PDF). Geneva: Internal Displacement Monitoring Centre. 2008. Retrieved 9 November 2010. ^ Tibaijuka, A.K. (2005). "Report of the Fact-Finding Mission to Zimbabwe to assess the Scope and Impact of Operation Murambatsvina" (PDF). Geneva: UN Special Envoy on Human Settlements Issues in Zimbabwe. Archived from the original (PDF) on 27 July 2005. Retrieved 13 April 2009. ^ "Zimbabwe" (PDF). Archived from the original (PDF) on 25 March 2009. Retrieved 1 June 2016. , gapadventures.com; accessed 4 May 2016. ^ Berliner, Paul (June 1993). The Soul of Mbira: Music and Traditions of the Shona People of Zimbabwe. University of Chicago Press. ISBN 9780226043791. ^ "Zimbabwe Celebrates 25 years of Independence". Konrad Adenauer Stiftung. Archived from the original on 10 October 2006. Retrieved 6 January 2008. ^ "Charles Mungoshi". Zimbabwe – Poetry International Web. Archived from the original on 16 October 2007. ^ "Tribute to Cathy Buckle". Archived from the original on 30 October 2007. Retrieved 2 November 2007. ^ "Cultural Origins of art". Archived from the original on 1 October 2000. Retrieved 6 January 2008. ^ "African theatre - Southern and South Africa | art". Encyclopedia Britannica. Retrieved 2018-01-19. ^ "Sadza ne Nyama: A Shona Staple Dish". Zambuko.com. Retrieved 3 November 2007. ^ Stephanie Hanes (20 September 2006). "Biltong: much more than just a snack". The Christian Science Monitor. Retrieved 3 October 2006. ^ "2004 Olympic Games swimming results". CNN. Archived from the original on 9 May 2006. Retrieved 22 July 2007. ^ "Montreal 2005 Results". Archived from the original on 28 January 2007. Retrieved 9 June 2007. ^ "12th FINA World Championships". Archived from the original on 6 June 2007. Retrieved 9 June 2007. ^ "BBC Sport Commonwealth Games 2002 Statistics". BBC News. Retrieved 29 August 2007. ^ Gold, Jack Of (29 May 2012). "Africa punching above it's [sic] weight in golf". Free TV 4 Africa. Archived from the original on 8 February 2013. Retrieved 6 June 2012. ^ "From Zimbabwe to Hull FC: Masimbaashe Matongo's 'dream' journey is just beginning". Hull Daily Mail. 17 November 2015. Archived from the original on 25 December 2015. Retrieved 18 February 2017. ^ "Zimbabwe teenager Judah Mazive signs contract to play rugby in England". Zimbabwe Today. Archived from the original on 13 January 2017. Retrieved 18 February 2017. ^ "South Africa's Marinos appointed new SANZAR CEO – Super Rugby – Super 18 Rugby and Rugby Championship News, Results and Fixtures from Super XV Rugby". Retrieved 18 February 2017. ^ "Supreme Court strikes down repressive media legislation". Committee to Protect Journalist. ^ Williams, Jon (29 July 2009). "Resuming operations in Zimbabwe". BBC. ^ Banya, Nelson (26 May 2010). "Zimbabwe licenses new private newspapers". Reuters. ^ "independent dailies allowed to resume publishing", International Freedom of Expression Exchange, 28 May 2010. ^ Chinaka, Cris (4 June 2010). "Zimbabwe gets first private daily newspaper in years". Reuters. ^ "Finally, Zimbabwe's 'private' radio station goes on air". zimeye.org. 26 June 2012. Archived from the original on 25 July 2014. ^ a b c "Reporters without Borders Press Freedom Index". Reports Without Borders. Archived from the original on 1 November 2008. Retrieved 28 March 2010. ^ Ruzengwe, Blessing (17 March 2005) "The nine lives of Wilf Mbanga", The London Globe via Metrovox. ^ "Freedom House 2007 Map of Press Freedom: Zimbabwe". Freedomhouse.org. Retrieved 6 June 2012. ^ Burnham, Frederick Russell (1926). Scouting on Two Continents. Doubleday, Page & company. p. 2; Chapters 3 & 4. OCLC 407686. ^ van Wyk, Peter (2003). Burnham: King of Scouts. Trafford Publishing. ISBN 978-1-4122-0028-8. ^ Jeal, Tim (1989). Baden-Powell. London: Hutchinson. ISBN 978-0-09-170670-8. ^ "Zimbabwe Scouts celebrate their centenary in a park that Baden-Powell had visited in 1936". Archived from the original on 27 September 2013. Retrieved 26 August 2009. ^ Landow, George P. "Great Zimbabwe". Brown University. Archived from the original on 9 August 2007. ^ "Balancing Rocks". Archived from the original on 17 August 2009. Retrieved 15 November 2007. ^ a b "Zimbabwe in 10 numbers". BBC News. 2017-11-18. Retrieved 2017-11-18. ^ "United Nations Statistics Division". Retrieved 7 December 2008. ^ Hungwe, Brian (7 November 2008). "The death throes of Harare's hospitals". BBC. Retrieved 3 December 2008. ^ "Zimbabwe: coping with the cholera outbreak". 26 November 2008. Retrieved 3 December 2008. ^ "Zimbabwe cholera deaths near 500". BBC. 2 December 2008. Retrieved 2 December 2008. ^ "PM urges Zimbabwe cholera action". BBC News. 6 December 2008. Retrieved 6 June 2012. ^ "Miliband backs African calls for end of Mugabe", The Times, 5 December 2008. ^ "Zimbabwe declares national emergency over cholera". Reuters. 4 December 2008. Retrieved 4 December 2008. ^ "Zimbabwe declares cholera outbreak a national emergency". Agence France-Presse. 4 December 2008. Archived from the original on 27 September 2013. Retrieved 4 December 2008. ^ "Zimbabwe says cholera epidemic may spread with rain". Reuters. 30 November 2008. Archived from the original on 6 December 2008. Retrieved 3 December 2008. ^ "The State of the World's Midwifery". United Nations Population Fund. Retrieved 1 June 2016. ^ "World Population Prospects – Population Division – United Nations". Retrieved 2017-07-15. ^ "Ranking of African Countries By Literacy Rate: Zimbabwe No. 1". The African Economist. ^ "Unlicensed and outdoors or no school at all" Archived 11 May 2011 at the Wayback Machine, irinnews.org, 23 July 2010. 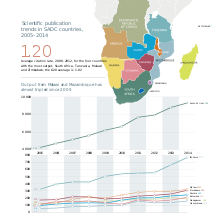 ^ "Zimbabwe: Country Leads in Africa Literacy Race", AllAfrica.com, 14 July 2010. 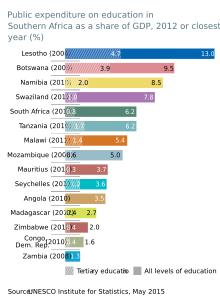 ^ Poverty Income Consumption and Expenditure Survey 2011/12 Report (Report). Zimstat. 2013. Archived from the original on 27 September 2013. ^ Nkepile Mabuse (28 September 2009). "Zimbabwe schools begin fightback". CNN. Retrieved 28 September 2009. ^ a b "Zimbabwe US Embassy". Archived from the original on 18 November 2007. Retrieved 15 November 2007. ^ "BBC report on 40 years in Zimbabwe's schools". BBC News. 19 April 2007. Retrieved 3 November 2007. ^ a b c d "Gender Equality | UN in Zimbabwe". www.zw.one.un.org. Retrieved 2018-10-02. ^ a b c d "Effective law and policy on gender equality and protection from sexual and gender-based violence in disasters – Zimbabwe". International Federation of Red Cross and Red Crescent Societies. Retrieved 2018-10-18. ^ a b c "7. Women's Empowerment, Gender Equality and Equity | UN in Zimbabwe". www.zw.one.un.org. Retrieved 2018-10-18. ^ a b c d e Chabaya, O.; Rembe, S.; Wadesango, N. (2009-01-01). "The persistence of gender inequality in Zimbabwe: factors that impede the advancement of women into leadership positions in primary schools". South African Journal of Education. 29 (2). ISSN 2076-3433. ^ a b c d "National gender profile of agriculture and rural livelihoods: Zimbabwe | FAO". www.fao.org. Retrieved 2018-10-25. ^ a b "CountrySTAT - Zimbabwe". countrystat.org. Retrieved 2018-10-18. ^ a b c d e f g h "Why the world must pay attention to violence against women and girls in Zimbabwe". The Independent. Retrieved 2018-11-26. ^ a b "Violence impedes women participation in politics - NewsDay Zimbabwe". www.newsday.co.zw. Retrieved 2018-11-26. ^ a b "A Campaign to Make Every Woman Count in Zimbabwe's Next Election". Women and Girls. Retrieved 2018-11-26. ^ a b c "Life After Mugabe: Women in Zimbabwe Push for Political Power". Pacific Standard. Retrieved 2018-11-27. ^ a b c d e Manyonganise, Molly (2015). "Oppressive and liberative: A Zimbabwean woman's reflections on ubuntu". Verbum et Ecclesia. 36 (2): 1–7. doi:10.4102/VE.V36I2.1438. ISSN 2074-7705. Retrieved 2018-12-04. This article incorporates text from a free content work. Licensed under CC-BY-SA IGO3.0 UNESCO Science Report: towards 2030, UNESCO. To learn how to add open license text to Wikipedia articles, please see this how-to page. For information on reusing text from Wikipedia, please see the terms of use. McGregor, JoAnn; Primorac, Ranka, eds. (2010), Zimbabwe's New Diaspora: Displacement and the Cultural Politics of Survival, Berghahn Books , 286 pages. Scholarly essays on displacement as a result of Zimbabwe's continuing crisis, with a focus on diasporic communities in Britain and South Africa; also explores such topics as the revival of Rhodesian discourse. Meredith, Martin. Mugabe: Power, Plunder, and the Struggle for Zimbabwe's Future (2007) excerpt and text search. Orner, Peter; Holmes, Annie (2011), Hope Deferred: Narratives of Zimbabwean Lives, Voice of witness . Smith, Ian Douglas. Bitter Harvest: Zimbabwe and the Aftermath of its Independence (2008) excerpt and text search. "Zimbabwe". The World Factbook. Central Intelligence Agency.